Last week Lisa Millan and I held a giveaway for one knitty person to win a washcloth pattern of their own choice. 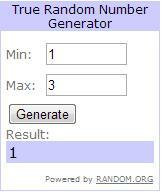 The giveaway is now closed, and the winner has been chosen thanks to www.random.org. C O N G R A T U L A T I O N S T O D E B B I E ! Well done Debbie, you will be the proud owner of Angel Kitty washcloth pattern, I hope you have fun making it! I will message you on Ravelry with the details on how to receive your prize. Big thank you again to Lisa for allowing me to ask her questions and offering the giveaway, it was very kind of you!